MyType.io: Will this service help you? Hi! This is David Kim in MyType Team! 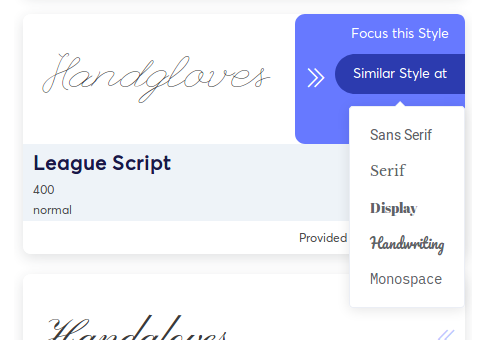 https://mytype.io/ is a font market platform for designers to search fonts much easier. We are utilizing artificial intelligence technology to classify fonts and provide a user experience that is easier and faster to find fonts. I want to ask you if the service we are creating is going to be useful, so I’m writing here. Let me introduce our service. There will be many images. Both designers who use fonts and designers who create fonts have big problems. 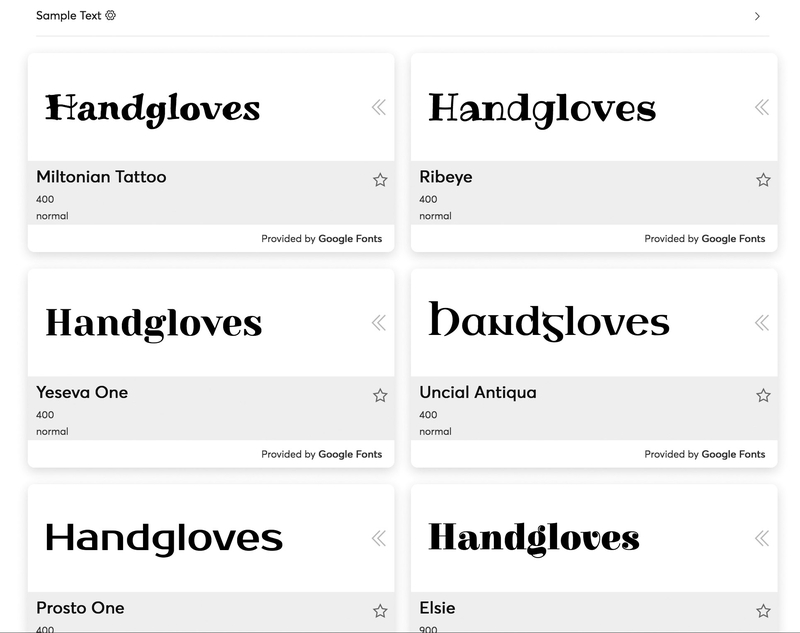 - Font users enter multiple font sites to find their own feelings. And they look up using various font categories and knowledge, but the results with the fonts are sorted regardless of each other so that they have to gaze one by one. - Because of poor search engines based on tags, making their fonts stand out is a big problem for font creators. This feature forces font creators to put information that is definitely not related to fonts (even Sans Serif and Serif are included together…) And receive chicken feed. We have created a style-based search platform to solve these problems! This is a way to solve problems for both font users and font creators! This picture is the first page of our landing page. First, there are five buttons that let you use our service simply. When you click on the font, the buttons change to the fonts that are similar with the font you choose. If you're interested, you can check out our service by clicking Try Full Version. Then you will see this screen. You can choose category, Slant and Weight just like existing font search platform. If you do not know what you want, you can just click the Search button to see it all! I want to see Display and Handwriting here, I have selected two and set the Weight as above. Then press the Search button. Voila! Many fonts are coming! It's not just search results, but similar styles, so it's much easier to find! I like the League Script, but do not like it a bit. So what should I do? Click the arrow next to the font card to open a new window. Let 's start with the first Focus this Style. New results are loading! I can see a lot of letters similar to League Script. I like Miss Fajardose here! By the way, I think that handwriting is too complicated. But I want the style like League Script. Then click Similar Style at. And I want Sans Serif, so let's click on Sans. Results are at the top that are Sans Serif and as thin as League Script! 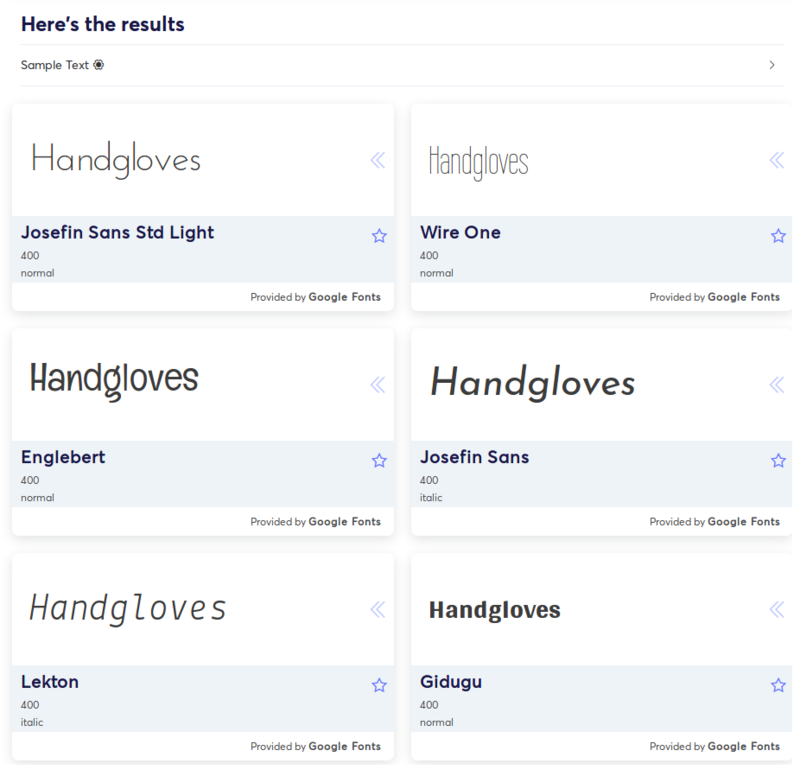 With MyType, it will be really easy to find fonts! This system does not sort with the most recent fonts, the most used fonts or alphabetically, but purely the design of fonts. This system recommends exactly what the user wants, so the fonts are not buried by other fonts and are hardly not exposed! So when they uploading fonts, there is no reason to worry about strange tags or marketing strategies. Only the font design will be considered! Mytype do not even get the commission as much as other font sites. Our service is in mytype.io and anyone can check it. In addition, we are currently recruiting font creators. 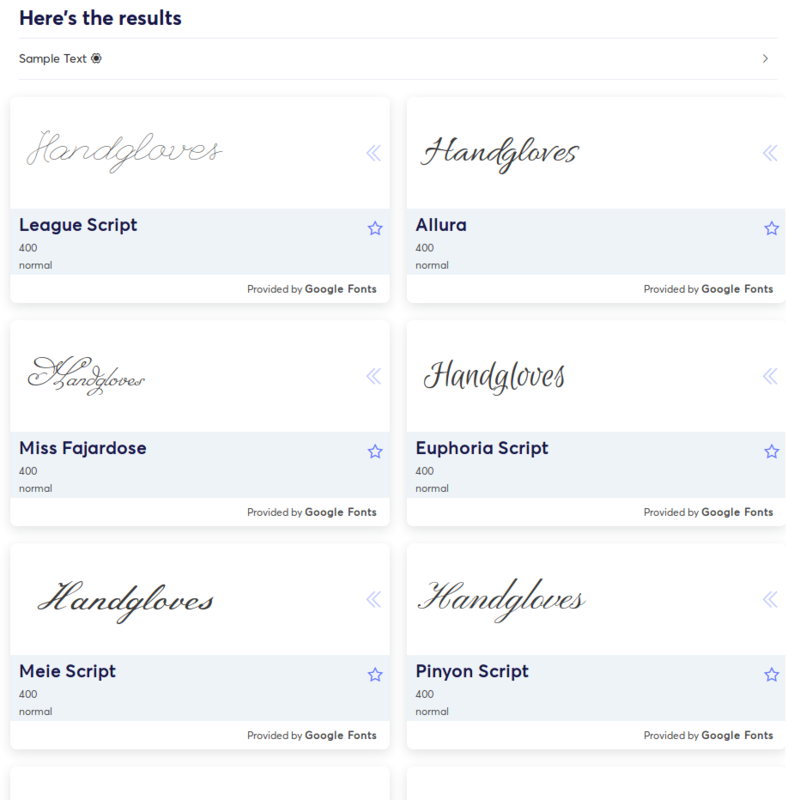 If you submit free fonts for beta launching, the fonts are able to get exposure to search results! Bug reports and feedback are always welcome. We hope this service will help you to find some fonts. Here's the results is grammatically incorrect. Here are the results. I've already told you this, but you need to step up your communication game if you want to be taken seriously. We are also worried about grammar issues a lot. First of all, we hire an interpreter and are gradually improving it to give you a good experience. Thank you very much for your continuous feedback! – there are totally different styles mixed together and I feel somehow lost with it. I would be interested in what is the actual data base for selection and sorting. First of all, we use 1266 fonts in Google Fonts. I think the reason why there are different styles mixed together is the lack of dataset. Our artificial intelligence loses its way when there is no font similar to the font you choose. It probably thinks that font is similar, but we human don't. Let me explain the algorithm of selection and sorting. we create an AI system by following the neural network of the eyes so that looks at the style of the fonts and selects similar things. It sounds a bit strange, but it's possible these days. We are trying to improve what you said. Anyway, thank you for your feedback! … we create an AI system by following the neural network of the eyes so that looks at the style of the fonts and selects similar things. I have no clue at all about AI. And I fail to imagine what “following the neural network of the eyes” has any to do with my (or someone’s) thoughts about evaluating and selecting typefaces. Perhaps it’s just me. AI can do specific tasks in such a way that the outcome equals or at least resembles what would have happened if a human performed the task. So, in theory, an AI system could evaluate and select typefaces like a human being, only faster, and without the need to take breaks, or personal peculiarities. Whether this has ever been done, by MyType or anyone else, is a different matter. Basically, we use our eyes when choosing fonts. So we mimic them in algorithm! that's all about AI stuff. 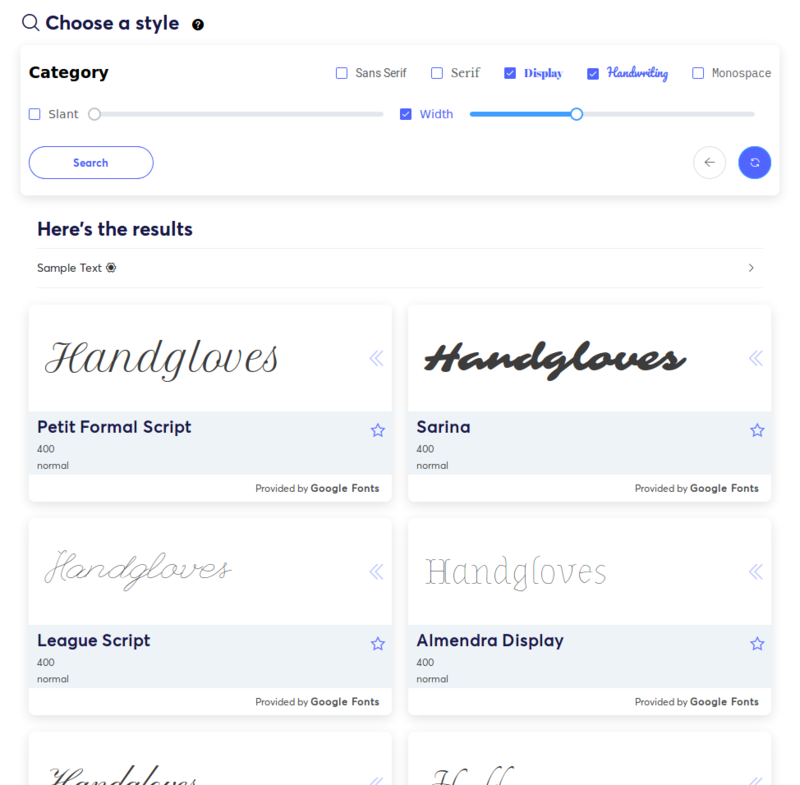 Our AI system can see and recommend fonts similar to the font you choose. So, you don't need to gaze all of the fonts one by one. I think it is better search engine for designers. But, we have to improve it more accurate. Thank you for your feedback! Rather than trying to teach a NN to determine stylistic characteristics, I think you are much more likely to get useful data by grabbing human-provided metadata such as the categories in Google Fonts and user-provided public tags in myfonts or similar, and then using latent semantic indexing to arrange the fonts into a high-dimensional "style space". We already have huge amounts of data about which fonts have what characteristics, so it would make sense to use that rather than try to replicate it from scratch. Yes, I already thought about that. However, all of the metadata contains strange information. (e.g. san-serif and serif together included) So we removed some noises and tried but low hit rate occurs. Thus, we decided to "see" the fonts. I think huge amounts of public tags and information are useless, because they are made by SEO marketing. We think that noise is provoked by tag-based system and we made this style-based system! Anyway, thank you for your feedback! I agree that tags would be misleading. From trying to identify fonts with my own eyes, I can more easily identify a font by looking at its heavier weights that its lighter weights. I think trying identify a typeface by looking at ultra-lights is like trying to identify a person while wearing X-Ray glasses. If you were to manually define each typeface's "index weight" and use that for identification. Hello! Yes, I agree with that. So, we are making a system that can identify weights and slants statically i.e. with one standard. I hope you will see it soon Thank you for your interest! 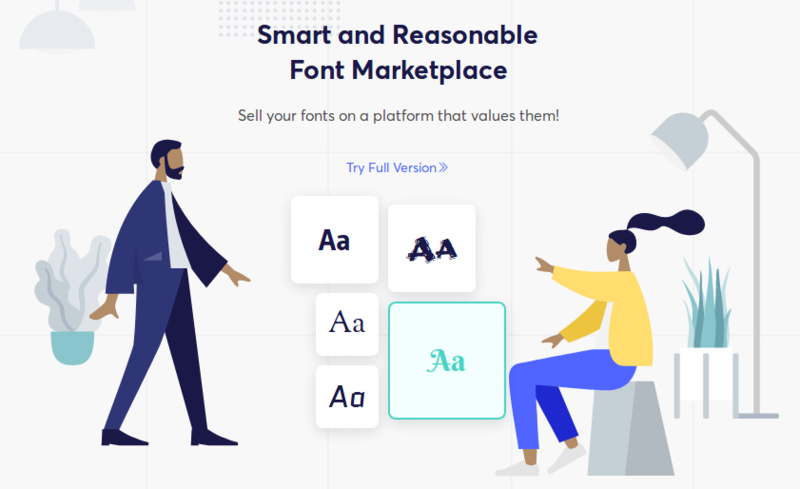 who have gathered to create a smart and efficient font marketplace. and are set to launch the beta service in March. for both font creators and font buyers. We always work to be your perfect business partner. If you are looking to get designers involved I for one would like who you are, where you are, where my font data is stored, where the payments are coming from; just off the top of my head. Through MyType’s effective systems, including the Sales Boosting System and Font Navigation, we make it possible to return more than 80% of sales proceeds to font creators. You deserve to enjoy more with MyType. So designers get 80% always? What makes my cut go over 80%? To add to the above discussion about the supposed AI selecting similar fonts. Even when you train an AI you should not focus on visual closeness alone. Yes, it will sort the slabs and the sans and the serifs, but from one serif to the next, visual differences that appear minimal can have huge impact on the tone of the font. Similarly, very different looking fonts can have a similar feel. Expanding on Johannes' point, A neural network could in principle learn to categorize type, but only if your data set included a very large amount of information about each font beyond their appearance. This would have to include information on where, when, and by whom each font was made, along with cultural information about the designer, information about how that font has been used in the past, etc. Just to give a few examples, ‘Art Nouveau’ or ‘British’ would not be categories which could be easily defined by appearance alone. Nor could these categories be defined simply in terms of when, where, and by whom they were made. Gill Sans screams ‘British’ in a way that ‘Baskerville’ doesn’t. Eurostile was designed in the 50's, but is more closely associated with Science Fiction than with 50s period work due to its appearance in film and television. I doubt very much that Koch had dinosaurs in mind when he designed Neuland, but that’s probably one of the first things that comes to mind when people see it today. And the appearance of the font certainly won’t provide that information. Schneidler’s Légende was loosely based on French civilités, but is often associated with Arabia due to its (mis)use on book jackets and movie posters. Thank you for your insight! We deeply understand what you are concerning, so we are going to revise our UI/UX for searching. I think AI can't be trained those, but UX can fix problems you said efficiently. We will try to dissolve your advice to our service in any direction. Your issue is that you think of font categories as clean data sets, previously provided by humans, and you want to teach your AI to use the same characteristics by which humans differentiate those categories. The problem with this is the same as it is with other approaches of AI to turn big data into clean datasets – the mess humans make is creating polluted data sets. By default, AI tries to understand correlation and with all data involved, there will never be clean correlation sets. A way out of this would be to use machine learning instead of AI as an approach. You could combine machine learning of common (well established) data sets, by training it with a relatively small number of commercial fonts that are viably defined as sans-serif, serif, fantasy, and other common categories. You would probably have to create a “clean idea” of categories in the first place, which may be difficult as well, since there are features that typeface providers (and partly academia) commonly agreed upon, but not a “legal standard” – in addition the classification of typefaces has been historically different in various language regions. Not to mention non-latin font classifications. It’s a very ambitious task to want to generate usable results with the clarity you outlined in your vision. There will always be ambiguous results, and the only way to improve those machine learning results is human editing. Similar to what Spotify and Apple are doing with their music libraries: Having a lot of human beings go through meta tags of music and correct them to what they feel is more relevant for the big data set. Actually, I am not using datasets made by human. We are using convolutional neural network which is pretrained by ImageNet (yeah, it is made by human, but the feature vector through the network is not correlated to the categories) and some techniques. That is, our AI is not using any data of category or weight etc, but visual features like human. However, we have recently felt the need to create data like Apple or Spotify like you said, so we decided to do. Thank you for your feedback! That is precisely the problem. Image scanning software, or image recognition based AI, is not compatible with the way fonts are classified. Typeface classification is pretty old, it grew historically and only in the last century the terminology used in typography today emerged. Typography is a craft, a field with a lot of tradition. That means it’s not only old, but there is a lot of knowledge in it. Abandoning this long development and trying to reinvent it through AI, by completely cutting out what shaped the type design scene for the past 65,000 years or so, is quite ignorant and if you ask me, poised to fail. Type design, or typography, is not an “art form” like painting styles. It is more related to architecture, if anything if you’re looking at the historic roots of font styles over the centuries. But today, these classifications (and crossover developments) are all part of a postmodern story. I doubt you will be able to train your AI without any input from people who studied this subject for many centuries. Thank you for the feedback! To reflect your opinion, I am planning to make the AI see typographical features, which will take a long time. Although artificial intelligence may not have as much knowledge as the person making the font, I think it can at least shorten the time for those who choose fonts. And I think the shortened time will make more profit to typographers. That is the purpose of this service. We keep investigating how designers choose fonts, and we will try to make it as good as possible so that everyone can be satisfied. I will stop pushing this point, but a craft and a tradition is hardly just an opinion. I was explaining the reasons why your AI efforts fail – and will keep failing – because the principles you are putting behind the system ignore the traditional way of classifying typefaces. If you are applying image recognition software on images, an AI is capable to differentiate humans from animals with a relatively high success rate. It is able to differentiate architecture from natural elements, such as trees, as well. That’s due to the physical structure of things, many animals having four to six or eight legs, trees having an entirely different shape than houses, but they are related to one and another within each group – so datasets become pretty straight forward and ambiguity is relatively small. With typefaces, none of this is the case. It’s as if you wanted to train an AI to differentiate various wine labels by looking at the colour variation in red wine. And while looking at just the colour, you want to teach the AI to differentiate Cabernet from Shiraz. In our case, with the shape of glyphs in fonts, you want the AI to differentiate a humanistic sans-serif from a grotesque, or a transitional serif from a Geralde font. An additional difficulty is that many modern fonts are rarely one thing or the other, they are sometimes both. We see a new breed of fonts that have features of a geometric sans-serif, as well as a grotesque, for an example. Without actual classification data (meta tags) applied by humans to datasets, labelling them with the correct tags, your idea is a task designed to fail. It should be easy to determine which results are more valid by watching the customer's behavior. One customer searches for narrow cowboy slab and clicks on results that correspond. Another customer searches for wide cowboy curly and does the same. The AI gradually learns what a cowboy typeface is or at least which results it should show if someone enters that term. Machine learning is good at that sort of thing. A big downside of this is all the customers at the beginning will be getting inaccurate results as the system learns. And what if the customer enters the name of a famous typeface that's not on the system? If the user enters Century Schoolbook and the site doesn't have it, how is it going to come up with Mark Simonson's Grad? If you search on MyFonts for the same term, Grad shows up because Schoolbook is in the ad copy and tags. Ad copy and tags are flawed but in the end, the results are going to be more useful, at least in the short term. I think the best font site search results would be weighted results based on a combination of tags, ad copy and visual with machine learning applied to it. craft and a tradition is hardly just an """opinion""". I strongly agree that typography is a collection of traditions and AI systems are hard to catch right away. So we are currently creating a system that creates metadata and uses it. That didn't mean not to agree. Thank you for your continuous feedback! The ability to search by style is the last thing that type users need. Users have eyes for this purpose, eyes that have been trained non-stop for perhaps 40 years by a mind 30 times more powerful than the IBM Sequoia. A system that is designed to show fonts by 'similarity' is like saying that the question is blue, and somewhere among a few shades of blue is the blue answer. There is no value in this. Typefaces are much more than stylised letterforms. A platform that functions solely on letterform similarity will deliver results at the expense of many other aspects that are important in selecting a typeface; family, quality, spacing, punctuation, originality, language support, glyph set ...the list is long. I put a huge amount of time into these aspects of typefaces that you are proposing to filter out. In answer to your question 'is the service we are creating going to be useful? ', my answer is no. This market platform is built on the premise that designers should spend less time selecting typefaces, and appears to me to be detrimental to the craft, experience and professionalism of this community. @Miles Newlyn If I take the question literally I agree with you. But I don't think that's the right way to think about this. We know that users feel overwhelmed but the choices of fonts. We know users like to see fonts in lists. I think user data will prove that the real purpose of this kind of service is to provide a way for users to to find lists of fonts that feel a little bit easier to digest. I say "feel" because it might be a complete fiction - what really matters is the psychological result. So I'd suggest this alternate question: What kind of service provide users with a way to slay the tyranny of choice and have the illusion of control over the list? There's a chance that fontsinuse search data and user behavior data can already tell us something about my hypothesis. @Florian Hardwig? @Stephen Coles? @Nick Sherman? Google might also have some hints, @Dave Crossland? I'd also ask Mary Catherine but I don't think she's a member? @Miles Newlyn, I see what you’re getting at: typeface selection by surface appearance alone is reductive. But I argue it’s also reductive to say a tool like this isn’t useful, especially if it’s among a set of other type selection tools. The curation of the foundries included in such a guide has other important functions, including introducing the public to typefaces from independent creators beyond what is available on the most popular platforms (chiefly: MyFonts, Adobe Fonts, Google Fonts). The usefulness of MyType.io’s particular approach is certainly debatable, but I think there is a lot of value in discovery platforms that include a significant plurality of underexposed foundries. @JoyceKetterer is absolutely right. There is a huge need for typeface guides of all sorts. Fonts In Use plays some of that role. We haven’t studied the data, but I’ve seen plenty of anecdotal evidence that designers use our platform to find new typefaces and inform their selection. We’re drifting away from the topic at hand. 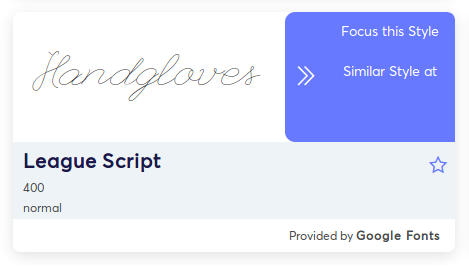 I just want to reinforce the notion that guides like MyType.io can be very good for indie producers like Miles, even if they focus on a single aspect of type selection. As a professional type user, I long for a place where I can find the best option from a pre-defined field. I often already know my question is blue (e.g. “dynamic sans serif with an edge”). I need to filter down to the option that comes with small caps, Cyrillics, and an App license. Also, I might be unaware of many available shades of blue, especially the more recent ones that are scattered across various small platforms. As a foundry, I’d indeed be skeptical about services that only give me more shades of blue, without additional info or filters. It all comes down to curation. 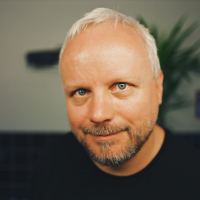 Quality is harder to assess than surface appearance (via AI) and … price. Which sources are included? It’s kind of telling that the start set here is Google Fonts. I’d be afraid to end up with a platform that presents my products next to superficially similar but heavily discounted me-too releases, “closest matches already included in your Adobe CC subscription”, and “free alternatives on Google Fonts”, but fails to spotlight any of their qualities.